Meeting Point for this excursion is normally at Abell Point Marina (Meeting Point No1). Your vessel Paradise Explorer will depart at around 9am after a safety briefing and travel across the Whitsunday Passage to Hook Island direct. 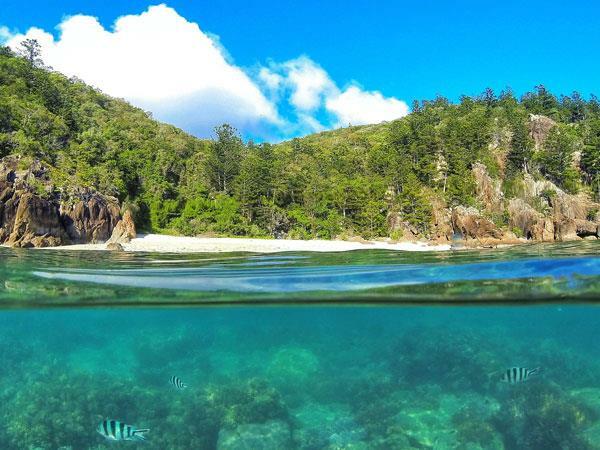 We will then have a snorkelling stop at one of the beautiful locations around the top of Hook Island, followed by a bit of an explore out through to the Coral Sea to view some other locations and return for lunch on your own private beach on either Whitsunday or Hook Island. If time permits, we would also call into the beautiful Nara Inlet which includes a walk up to the Aboriginal Caves that were once used by the Naru tribe, before returning to Airlie Beach (Abell Point Marina).